I read an article today in Voxabout Harry Potter and the Cursed Child, and after about the third reference to "canon" and the second use of "fandom," the full impact of what I was reading hit me—here was a 3,500-word nuanced discussion of, essentially, Harry Potter fanfiction, published in one of the most mainstream online publications in the United States. Congratulations, millennials. We did that. If you've read Harry Potter and the Cursed Child—congratulations, we also did that. Read: Dear J.K. Rowling: I love you, but please stop. That's because Cursed Child is basically an authorized fanfiction, complete with some of the most popular fanfiction tropes and themes—namely time travel, alternate universes, Harry's post-War guilt, Albus-Severus-is-a-Slytherin, Albus-Potter-and-Scorpius-Malfoy-are-banging (basically), and Harry-and-Ginny-are-probably-a-bad-couple. Except, of course, there's one problem. I've read a lot of fanfiction that's significantly better than Cursed Child. Which means that if you've never read fanfiction before, now's the time to start. There's a ton of work out there that explores the universe we all know and love—and a lot of it is more worth reading than anything that has been published on Pottermore. So if you read Cursed Child and want to wash the taste out of your mouth with some Harry Potter stories that are actually worthy of Jo's blessing, dive into these. This fic is 100 percent canon—anyone who says otherwise can fight me. Dumbledore's Army tells the story of Neville, Ginny, Luna, and the rest of the crew who were left at Hogwarts with Snape and the Carrows while Harry, Hermione, and Ron were gallivanting through the forest. It's incredible, and it will give you a whole new level of respect for Neville. To my mind, this book is also the totally-canon, totally legit story of Harry Potter—only this time, it's told from the perspective of Snape. A Difference in the Family starts with Snape's childhood with his abusive father, and it imagines a lot about Snape's youth and early adulthood that makes for a good story. But this fic really shines when its timeline joins with the original and we are able to see behind the scenes into Voldemort's organization throughout the wars. 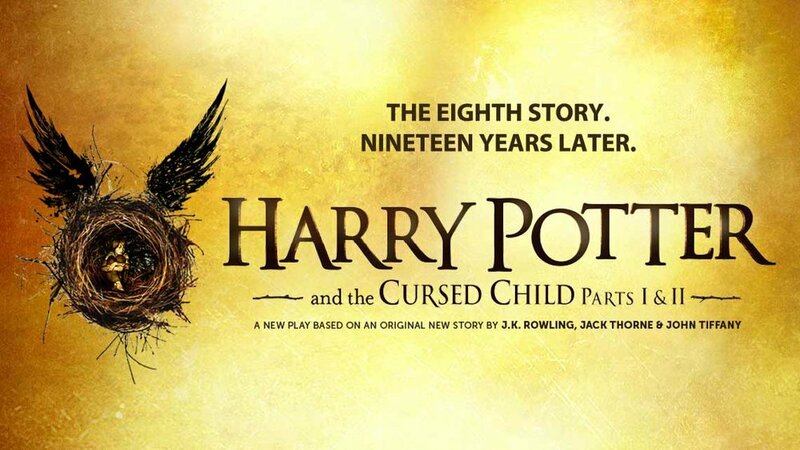 If you wanted, as a lot of people did, for Cursed Child to explore the personal and societal aftermath of a devastating war, then this is the story for you. The First Day begins from the moment Harry leaves the headmaster's office after defeating Voldemort, and it ends with the first anniversary of the Battle of Hogwarts. In between, we complicate "all was well" and see how hard it can be for Harry—who's never known a normal day in his life—to adjust to "normal." Maybe the basic premise of Cursed Child—Albus Potter travels back in time to prevent some injustice from occuring during the war—appeals to you. This story does it better. It's technically a sequel, and you will probably need to read the first story first (imagine that). But The Book of Albus is by far the best part of the trilogy and (these are fighting words), by far the best fanfiction in the time-travelling genre. Now we're leaving canon and entering AU—or, in the words of normal people, we're starting in on stories that seriously shift major plot points or characterizations from the original series. But do not fear! The results can be just as magical. 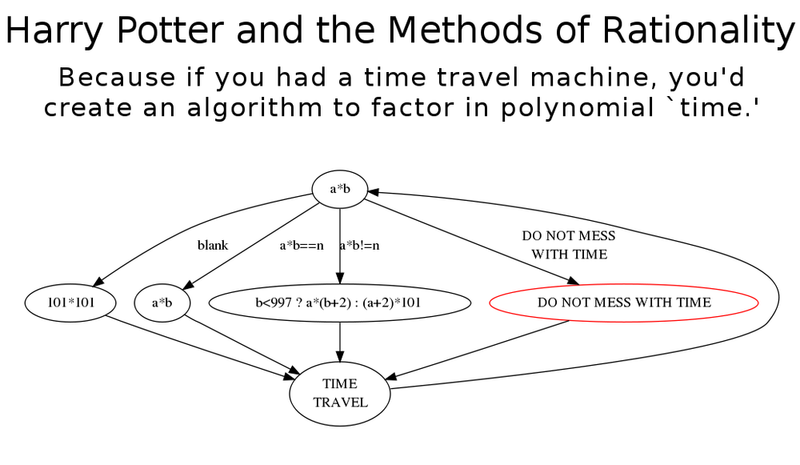 Methods of Rationality is one of the most popular Harry Potter fanfictions of all time. It has spawned a podcast, its own subreddit, and even its own fanfiction. The basic idea is this—rather than the bumbling but lovable idiot we all know, Harry James Potter is something of a child prodigy who seeks to impose some much-needed logic and rationality on the magical world. The result is hilarious. There's Harry Potter fanfiction for everyone—people who think Dumbledore was actually evil, people who think Harry and Draco Malfoy were actually boyfriends, even people who think that the giant squid and Hogwarts castle were getting it on (yeah, I don't get it, either). One of these subgroups of fanfiction is called "Severitus," which describes any story where Severus becomes a father-figure to Harry. It sounds crazy, I know! But this story is so. good. that you can almost start to believe it was real. Give it a try. Seriously. It's still (definitely) better than Cursed Child.